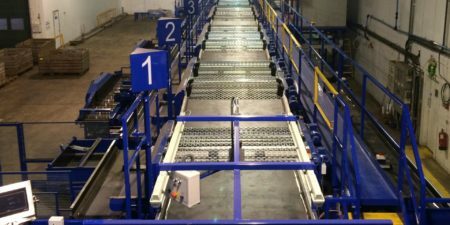 This video shows a recent installation of a Visar Sortop optical potato sorting and grading line, in action at a leading potato producer in Luxembourg. The Visar optical grader is a fully automatic carrot and potato sorter, with innovative technology for advanced sorting. Using the same HD colour vision camera as the original carrot model , as well as the addition of 360 degree HD infra-red vision, the Visar Optical Sorter offers high quality potato sorting; it can detect even the slightest defects including wireworm damage, rot, blight and scab. 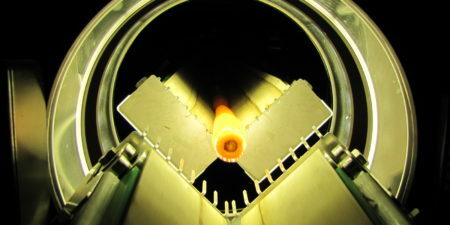 After the potato has passed the camera, the machine removes the need for manual sorting through a compressed air ejection system that can separate crop by size, shape or weight through to six exit points. 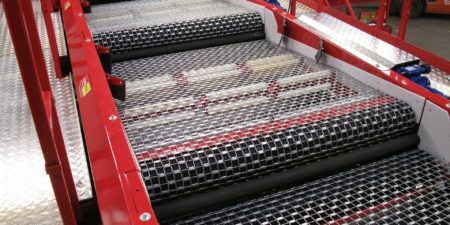 Each exit is cushioned to protect against damage and the sorted crop can then be easily moved on to another handling process or to the supermarket shelf, thanks to the machine’s exceptionally low error rate. With a 360 degree mirror system, every vegetable is accurately analysed at an impressive rate of 12-15 carrots per second. This amazing time-saving machine takes the hassle out of manually sorting and grading vegetables. With integrated intelligent controls, this vegetable sorting system removes the need for tedious adjusting and programming – the machine learns which defects are acceptable and which aren’t. Watch the incredible Visar Sortop in action!